Dynamic content describes an asset, image, ad or email that changes according to the past behaviour of the visitor. This often means showing content that the visitor has previously viewed or interacted with in a past session or website. 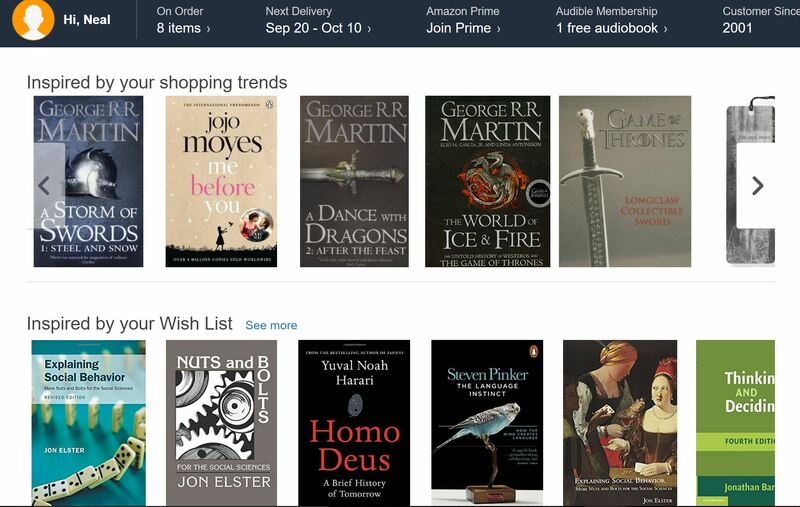 Not surprisingly Amazon extensively use dynamic content to reflect what you have previously searched for or might be interested in given your previous behaviour on the site. A/B testing software – Which A/B testing tool should you choose?